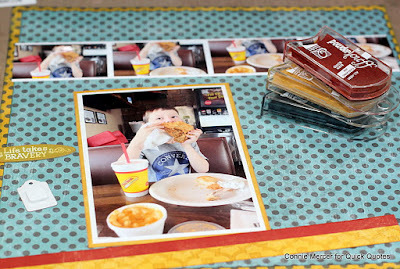 crafty goodies: Quick Quotes and Canon, all you need to create with!! 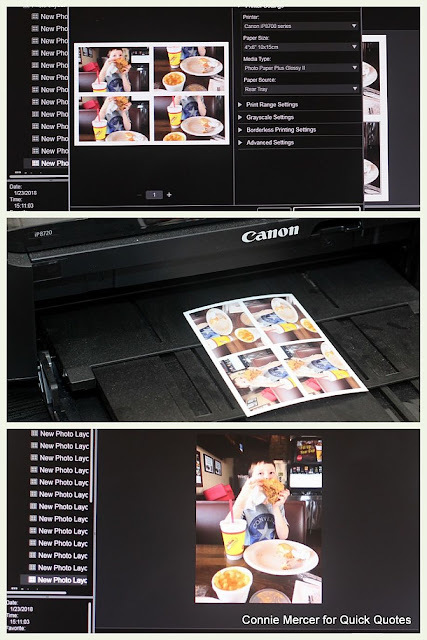 Quick Quotes and Canon, all you need to create with!! 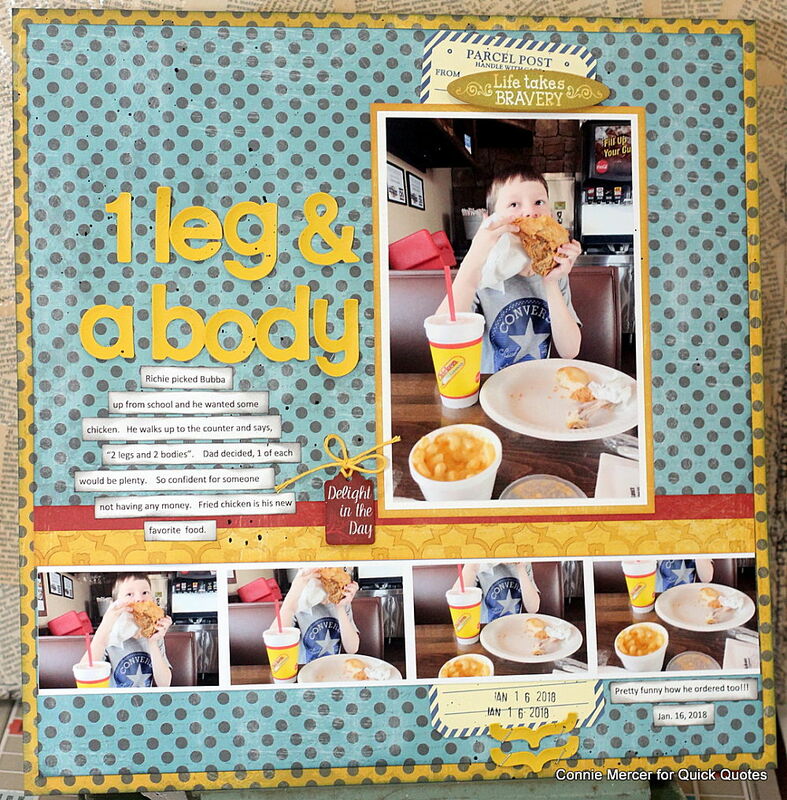 Hi, Connie here stopping by to share a scrapbook page using the Whistlin' Dixie Collection by Quick Quotes, along with my Canon iP8720 Printer. I started with one photo and was wishing I had 1 more but then I got this idea, that involved my iP8720 Canon Printer, to use portions of the photo in a film strip. 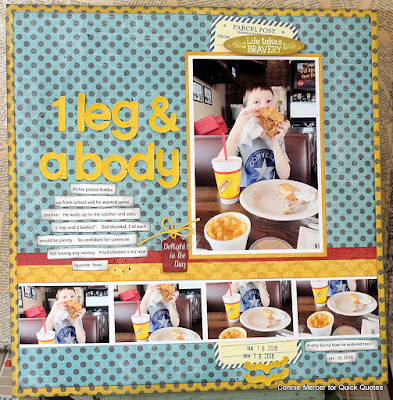 The title of this page is "1 leg & a body" that is how my grandson ordered his fried chicken. He is such a hoot!!! The top picture shows how I kept adding the same photo to The Garden Image program (came with the iP8720 Canon Printer) but I moved it to capture different segments, of the picture, making for a really cool photo strip. The 4 picture collage was cut down the middle, to create the photo strip. The bottom photo is the original picture printed with no border in the 4"X6" size. 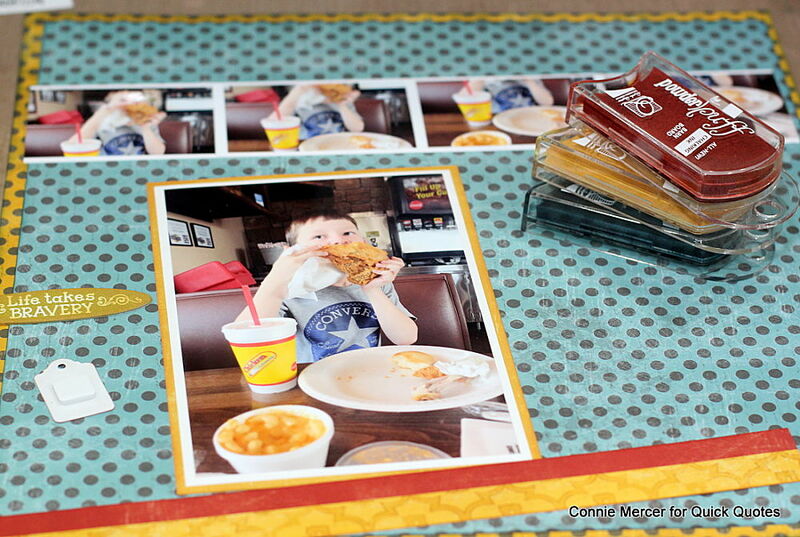 The photo strip was matted on white cardstock. I used Quick Quotes PowderPuff Chalk inks to shade around the pattern paper and chipboard stickers. Side note: I thought it was cool that the red and yellow pattern paper matched the red and yellow stripes on the beverage glass. 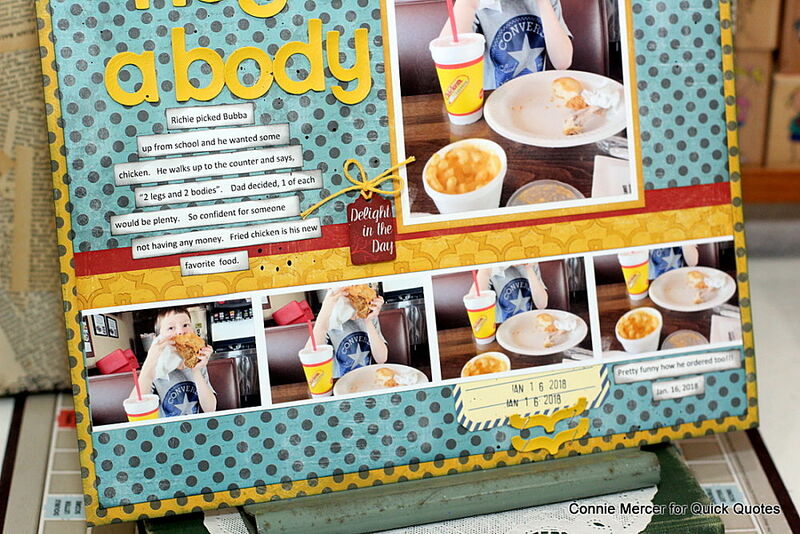 The page was embellished with stickers and chipboard from the Whistlin' Dixie Collection by Quick Quotes. Journal the story and add the title. We will enjoy this page, and the story, for many years!! This is AWESOME! LOVING the colors and those photos!!!!! LOL! Fun page and love that you picked up the colors of the cup. He's such a cutie. Love this "1 leg and a body". LOL You did a beautiful job capturing his fun spirit. Oh I'm so glad you used his words as your title! You'll always remember that!